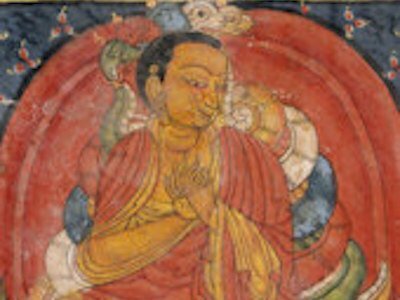 This webinar is part of the Lojong: Heart of Enlightenment Series. Lojong in Seven Points, a mind training geared towards developing bodhimind, introduces us to deeper levels of compassion. Through exchanging ourselves with others and give-and-take practices, wisdom can become the guiding force of our compassion. Join Guest Speakers, Professor Robert Thurman, Venerable Thubten Chodron, Geshe Lobsang Tenzin Negi, Dr. Joseph Loizzo and Jewel Heart Instructors as we explore Gelek Rimpoche’s teachings and make a lasting difference in our lives and the lives of others. Offered online via Webinar, course registrants can also participate onsite at various Jewel Heart Chapters, including Jewel Heart Ann Arbor, Chicago and New York. Check local JH groups for participating chapters and study groups. Registrants receive a digital copy of Gelek Rimpoche’s transcript – Lojong: Training the Mind in Seven Points and the webinar registration link for attendance online.